Can you believe I have kept this up for 3 months. 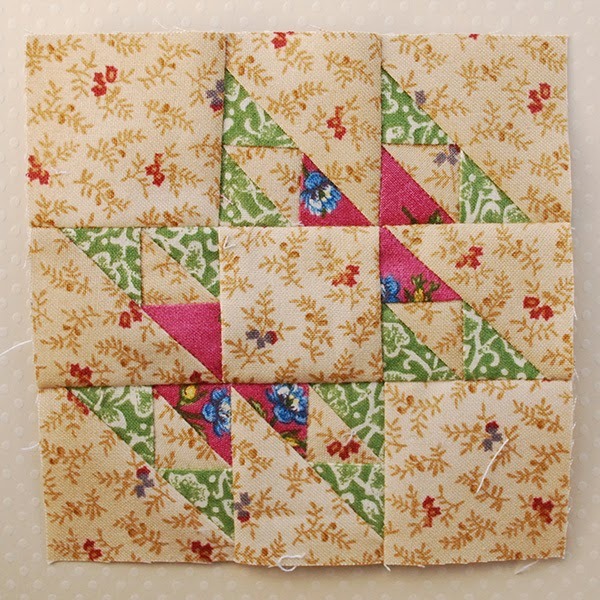 I can't because I know how flakey I am, but I must say, I am really enjoying making these little block. EXCEPT, I have still not done a block where I have not unpicked a seam! This week is the Cat's Cradle. I quite like this block. It was a little fiddly to put together, but it turned out nice enough. Let's see if I can keep this up for another 3 months. Although by the end of 6 months, I'll only have enough blocks for a lap blanket.